Ian Khan, Michael Bleekemolen and Paul van Splunteren dominated last weekend’s Zandvoort 500, the opening round of the Dutch Winter Endurance Championship, from lights to flag in their Team Bleekemolen Porsche 997 Cup, finishing two laps ahead of the Sotrax Racing Porsche 996 Cup and the JR Motorsport BMW V8 GTR. As the 55-car grid surged towards the 180-degree Tarzan corner, it was clear that the pole-sitting Bleekemolen 997 was the car to beat on this cold and windy day in the middle of the dunes. The car that normally races in the Porsche Cup was able to complete the 500 kilometres without any mechanical woes at all, and only during the pit stop sequences was the car ever headed. After four hours of racing, the 997 crossed the line looking like all it needed was a car wash to be ready for the next race of the series. 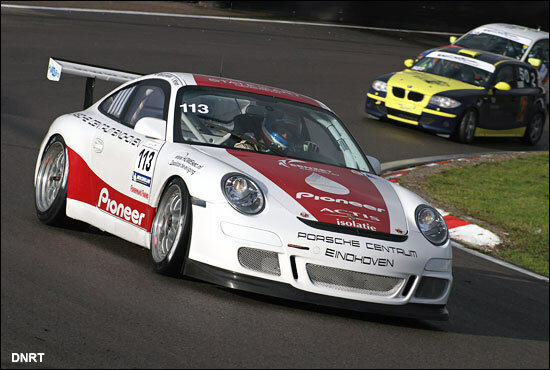 Behind the dominant Porsche 997, another Porsche made its way to the podium. The Sotrax 996 of Bouhuys, Albert and former FIA GT regular Arjen van der Zwaan overcame handling problems in the early part of the race to beat the JR Racing BMW to second, while the Wilkens Porsche 996 took an impressive fourth, after early contact with a Maserati put the car out of the top 20. Belcar regulars First Motorsport took fifth with its 996, one of the cars that put the Avon GT rubber through its paces 12 months ago in the very same series. 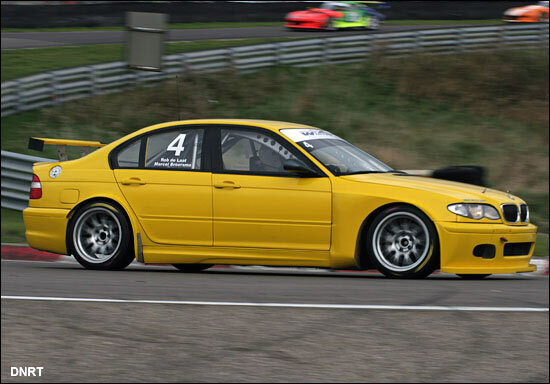 In Division 2 it was the MDM BMW 320i ETCC that took top honours (above), as well as a very good 6th overall. 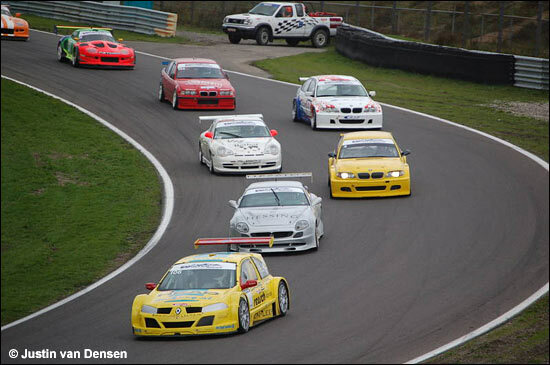 Division 3, the diesel class, went to the BMW 120D of the Autobedrijf Albers team whilst division 4 also went to MDM with the immaculate BMW Compact. The Zandvoort 500 might not have been very closely contested at the front, but it was a very good event nonetheless with great cars, enthusiastic drivers and real endurance racing throughout. 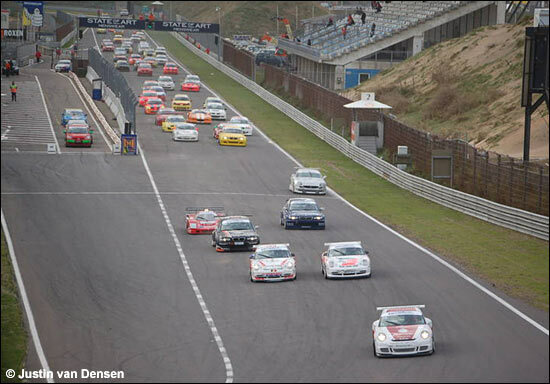 In the end nobody could touch the Team Bleekemolen 997 and several teams will go to Oschersleben on the 10th of December with a point to prove.